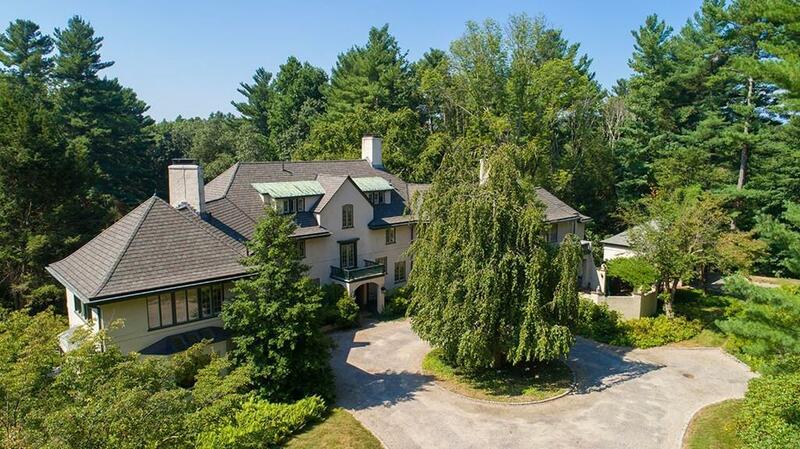 This Turn of the Century grand estate was designed and built in 1909 by noted arts and crafts architect Thomas Mott Shaw. 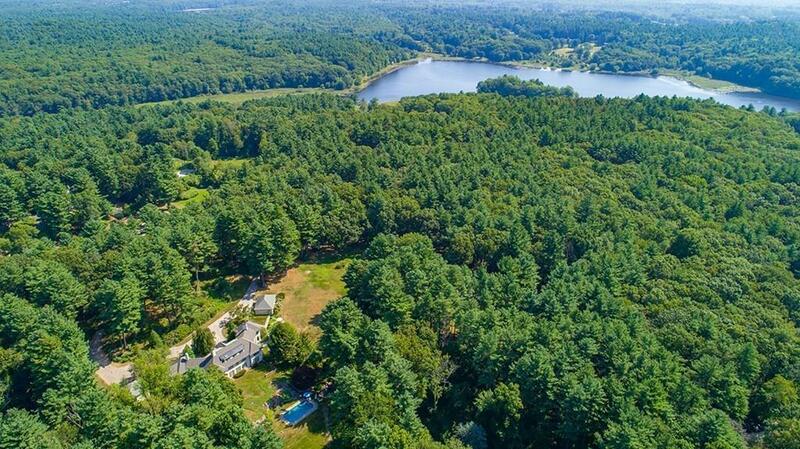 This 9,300+/- sq. 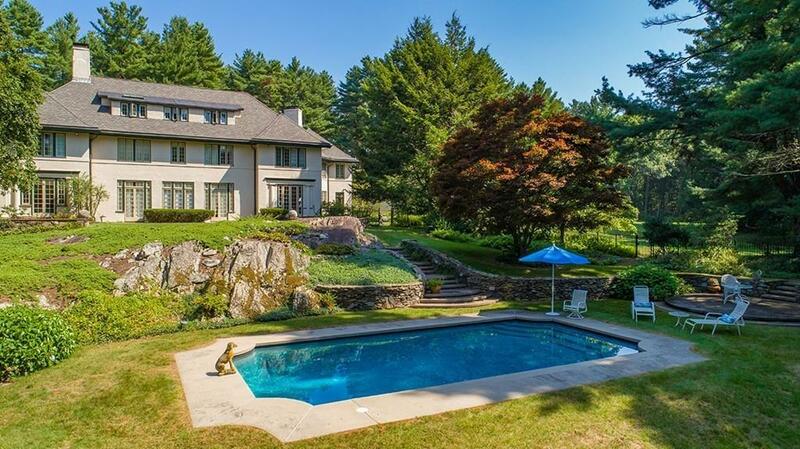 ft., 8 bedroom manor is set privately on 10.4+/- acres with abutting conservation and access to the Sudbury River. Timeless details include quarter-sawn oak pillars with hand carved moldings, imported Italian mosaic fireplace and soaring 11-foot beamed ceilings in the great room. The kitchen has been updated with custom cabinets and stone countertops, a 10-foot island, breakfast area, and walk-through butlers pantry. 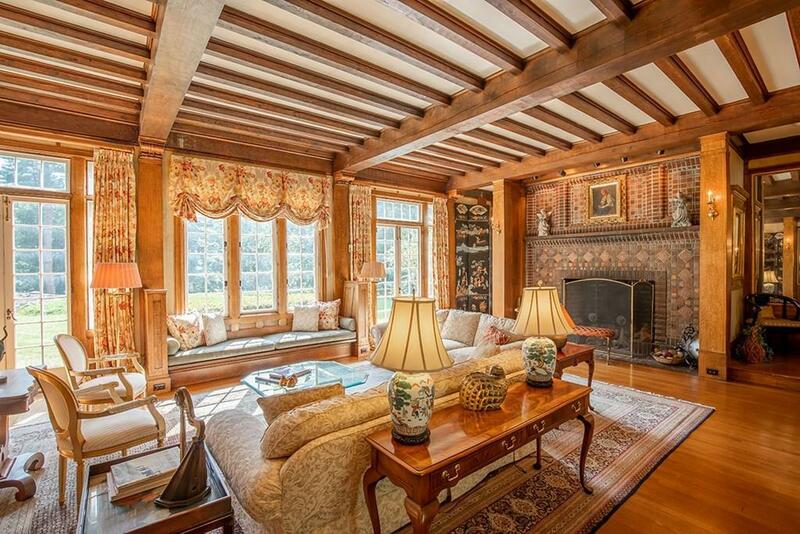 The first floor also includes a large fireplaced family room, twin porches, and elegant dining room. On the second floor, an office, master suite with a full and half bath, 2 walk-in closets and sunlit office, a playroom and 2 bedrooms. The third floor adds 2+ bedrooms, 1 bath. The gated grounds are meticulously landscaped. Enjoy a game of tennis, cool off in the pool or meander to Fairhaven Bay for fishing and hiking trails. Listing courtesy of Abby White of Landvest, Inc..
Exclusions Some Furnishings Negotiable. See Agent For Details. Listing provided courtesy of Abby White of Landvest, Inc..